Crockett Family Farms is an old friend of DNA Genetics and it\'s pretty easy to see where the guys found some common ground. The breeding of world class marijuana. 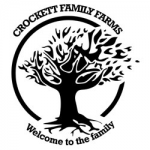 Crockett Family Farms is a new range of elite quality seeds direct from Crockett\'s garden. Crockett\'s garden has been home to the strain that has now become known as Tangie for over ten years. It was Crockett who first presented the DNA guys with the cut that has gone on to win virtually every competition that it has been entered in. Crockett\'s own cut of Tangie actually beat DNA into 2nd place at last year\'s Cannabis Cup in Amsterdam - the only time we can remember a single strain finishing first and second in the same category - Best Sativa.